Observed at Kitale, Kenya, January 2012. Same Genus, different species?? 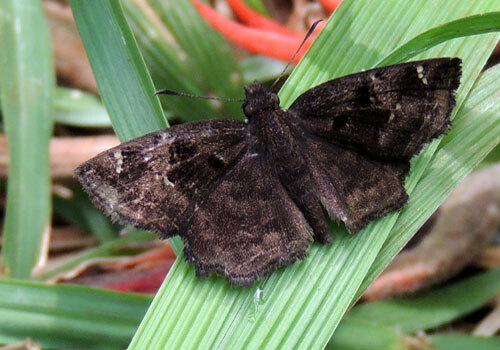 Observed at Eldoret, Kenya, December 2013. Skipper butterflies as a group are mostly quite easy to recognize. 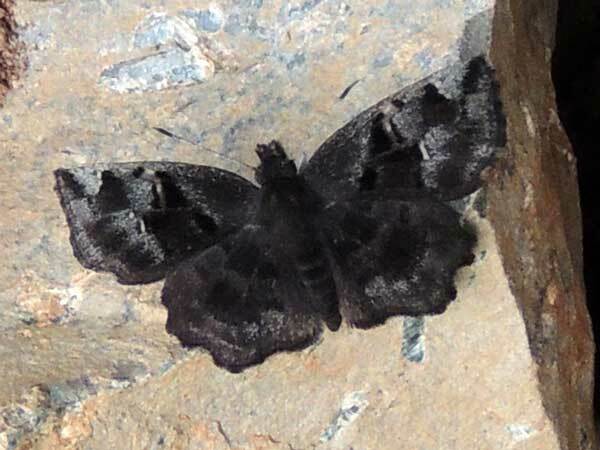 Like most butterflies they are active mostly by day (diurnal) and have distinct clubs at the tips of the antennae. Looking at the antennae clubs more closely, there is a short, partly hooked appendage. Skippers have this hook, but no other butterfly families do. Identification to a specific species is difficult, however, because there are many, many species. There are some very similar species that require microscopic examination of the genitalia to be sure of specific identification. 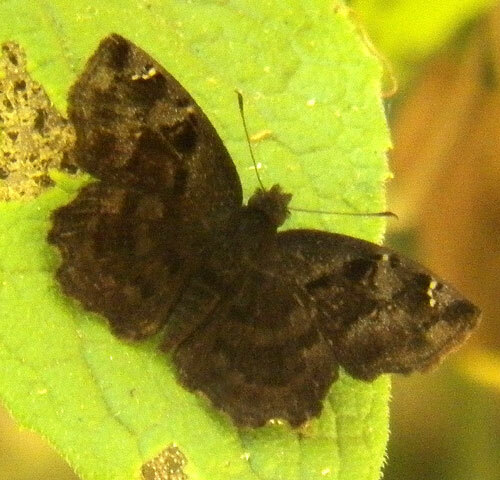 This appears to be the same species, but seen at Nairobi, Kenya, November 2012.